Hollywood Park Casino is slated to open their completely new facility on October 21st, 2016. 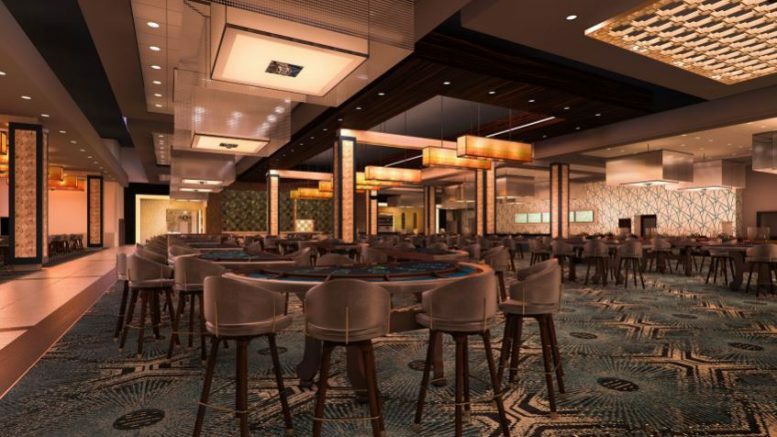 The new 110,000 square foot facility will have more high limit tables, 3 bars, a deli and a restaurant. Also in the works are 200 capacity seating at the simulcast wagering area and a plush lounge area. It all sounds like some heavy duty competition for Commerce and Bicycle. Be the first to comment on "All New Hollywood Park Casino Fall 2016"